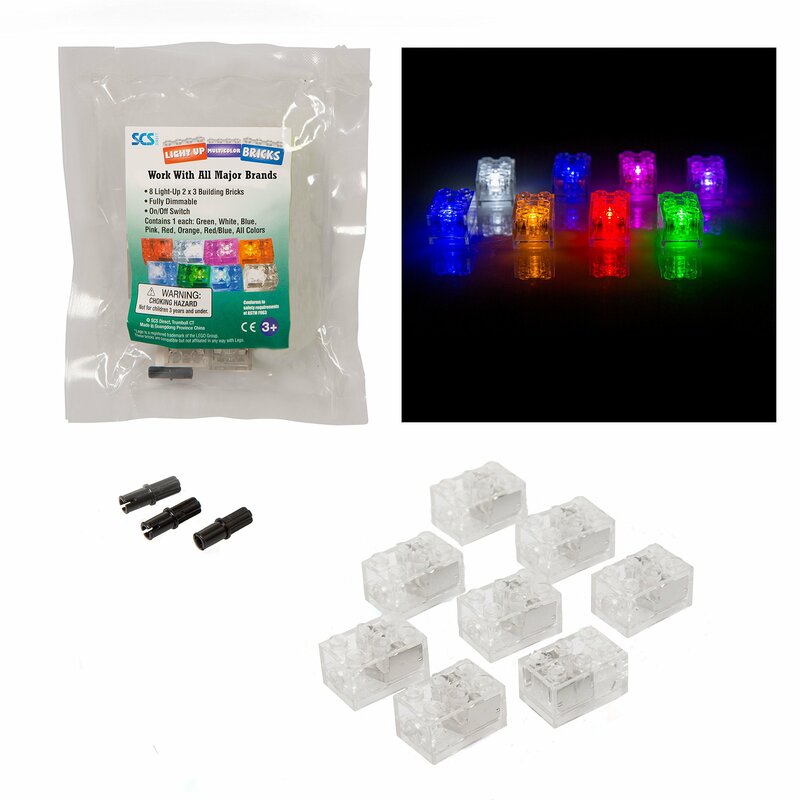 Home › Toys › Light Up Building Bricks (2X3) - Multicolor (Different Color For Each Brick) ..
Light Up Building Bricks (2X3) - Multicolor (Different Color For Each Brick) ..
Light Up Multicolor Building Bricks (2x3) - Comes with 8 bricks that all lightup to different colors: green, white, blue, pink, red, orange, red/blue(alternating) and all colors (alternating). This unique set are all fullydimmable and have on/off switch. Each brick is tight fit with all major brandsand is perfect to complete your set.